This post is part of a 2012 monthly series of MySheCave.com posts on the topic of the U.S. Constitution. The devastation from Sandy’s wake has left so many of us living in outlying areas wondering, “How can we help?” Here is a list of charitable organizations to which you can denote to help victims of the storm. One of the ways the U.S. federal government has been assisting Hurricane Sandy victims is through the deployment of the National Guard of the United States. 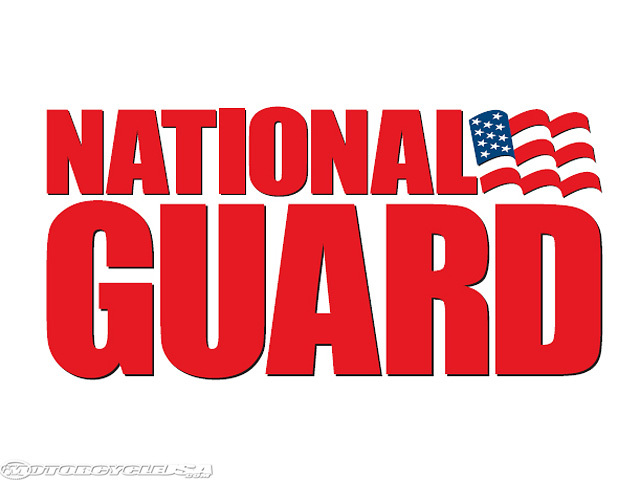 Do you know which Article of the U.S. Constitution authorizes the existence of the U.S. National Guard? What is your experience with the U.S. National Guard? Are you aware that the National Guard is the oldest component of the U.S. armed forces? Do you personally know any members of the Guard? And, have you ever witnessed a live deployment? Without doubt, many of the Hurricane Sandy victims likely viewed the National Guard vehicles and troops who were trudging through the floodwaters earlier this week like guardian angels. Good post. I’m proud of our local Army National Guard unit and like to see them train and drill near my house, which is four blocks from the Armory. These people are brave and dedicated, and they enjoy be cheered on when they jog as a unit past the Town Common and sometimes stop to exercise in formation. I always am reminded of my favorite Guardsman, Pvt. Fist Class Rodney Murray, who was my ECU classmate and the first casualty of the Iraq War from this area. It is in his memory that I support the National Guard and all our military personnel. Thanks,Dee! Here’s to Rodney and all the others like him who gave everything to ensure our freedoms and way of life!